It is not often a developer’s description of a game sums it up so completely. In Great Permutator we are given a series of increasingly difficult levels. Each level is laid out in a grid with coloured blocks on one side and a receiving funnel on the other. It is our job, as the player, to build conveyor belts and place sorting machines in such a way as to make sure the coloured blocks make it from one side of the map to the other. This part is easy. What is difficult about Great Permutator is the blocks must reach the far side in a certain order and the blocks may not collide with each other. This means spacing, timing and sorting must all be done precisely. In each level we build our series of conveyors and sorters and then “run” the simulation. We get to see where our blocks would end up and the game lets us know if something went wrong. We might be told the blocks arrived in the wrong order or that one fell off a belt because we pointed the conveyor in the wrong direction. Through wit and trial and error, we get all the coloured blocks to the right place in the right order, enabling us to proceed to the next level. Great Permutator is one of those games that is very simple in concept, but the design of the levels, the challenges presented, make the game surprisingly difficult. 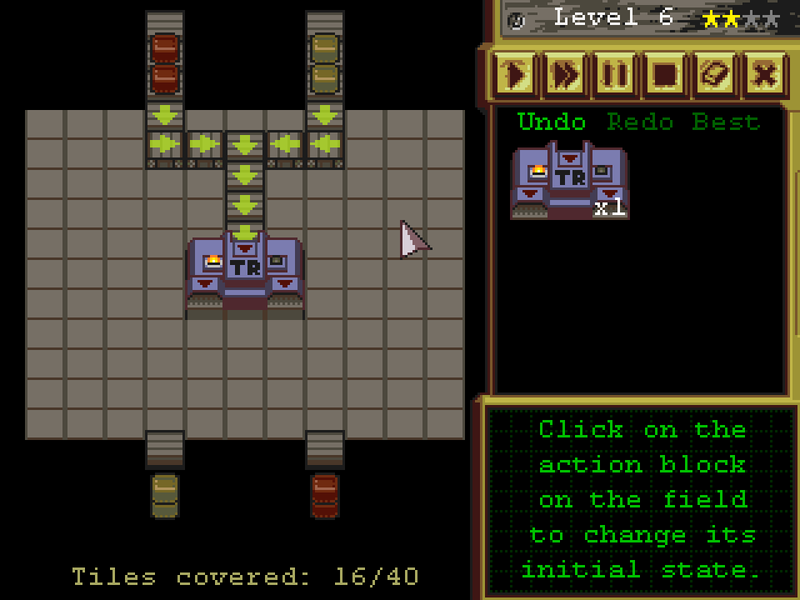 The game is full of puzzles that may look obvious after we are successfully finished, but during the building of the level look virtually impossible. The game has a very simple layout, simple graphics and mind bending challenges. Great Permutator automatically saves our progress so it’s a good game to play for a bit, put away and then take out when we want a distraction. … Of course, some levels may drive us to distraction, but that is half the fun.